Founded in 2005, Energy and Capital is one of America’s first daily free-email investment letters solely dedicated to helping readers profit from the ever-expanding and ever-changing energy sector. Since its founding, it has become one of the most widely read and widely cited sources for investing in energy. Why do we offer a daily e-letter focused exclusively on the energy sector? Energy is one of the largest and most important sectors in the global economy. In fact, eight of the largest top ten companies by revenue are energy companies. And it’s because energy is as necessary to everyday modern life as eating and breathing. We owe our comfort and our very survival to it. Most people don’t have a clue how often they come into contact with oil every single minute of every single day. They think oil is something that goes into their car. And they’re right. 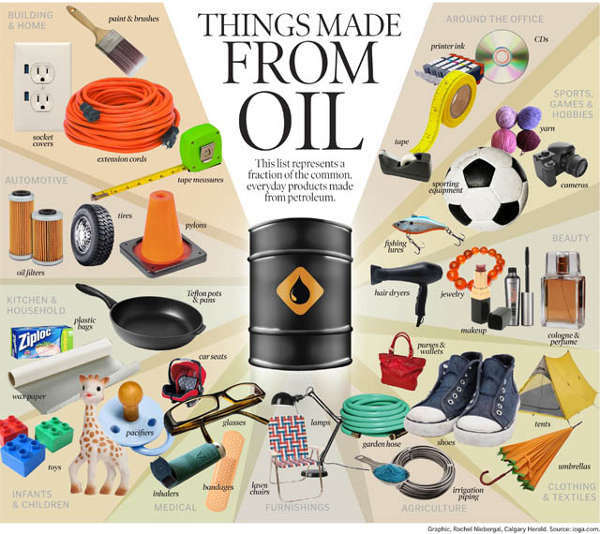 Everything you see in this picture is made from oil. Everything. And this is just a tiny list. I could show you thousands upon thousands more products you use that need energy. My point is this: Energy is everything and everywhere. And the profit opportunities are endless. Just a few years ago, the International Energy Agency (IEA) — the global policy organization that advises governments worldwide on energy trends — released its annual World Energy Investment Outlook. In it, they said the world will require $48 trillion invested in the energy sector by 2035 to meet its growing needs. Energy and Capital believes it will easily be double that figure! Because of this, our investment philosophy is simple: We know investments HAVE to flow into energy assets and companies at a very high rate. So we’ll continue to do our cutting-edge research in energy to get positioned in the next great bull markets before the crowd. That’s why our experts analyze every single aspect of the global energy markets: Oil and natural gas, coal, electricity, solar, geothermal, wind, water, and nuclear. Unlike many investment services, we have energy analysts who are experts in the peripheral markets necessary to support the growing energy sector. I’m talking about the companies that mine the vital minerals for renewable energy and electric vehicles like copper, lithium, uranium, nickel, cobalt, manganese, aluminum, and the highly coveted rare earth metals. If it’s related to energy, we will do our due diligence to bring you the very best investment ideas. When we launched Energy and Capital in 2005, we did so because we were predicting a super-spike in oil prices the likes of which we have never seen before. Our prediction (based on sound scientific and market research) was history changing: All of the world’s easy-to-get, cheap oil had already been discovered and extracted. The era of cheap oil was over! 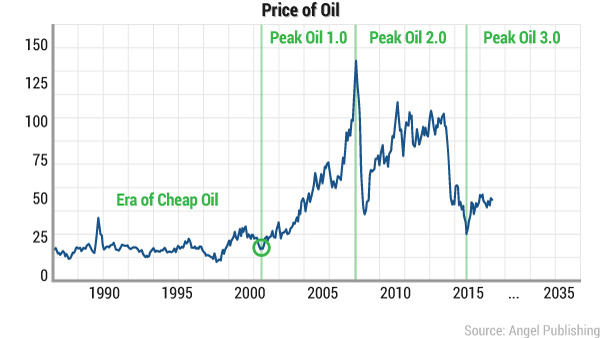 This energy market event is known as Peak Oil. We knew the end of cheap oil was going to have a dramatic impact on our economy… and that major changes were on the horizon for almost everything. We knew renewable energy and next-generation technologies were set to launch. We were so confident about our investment ideas on the end of cheap oil that we published two books on it: Profit from the Peak: The End of Oil and the Greatest Investment Event of the Century and Investing in Renewable Energy: Making Money on Green Chip Stocks..
And even though these books were published over a decade ago, every single major prediction we made in those books has either come true or is coming true. Everything you are seeing today in the energy markets was predicted by our team of experts. And, more importantly, we were the first to profit from the changes. You see, Peak Oil gave birth to many new companies and industries. Without Peak Oil, there would be no Tesla. 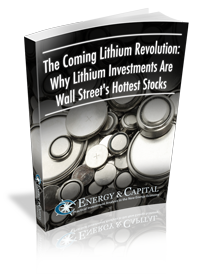 There would be no bull markets in lithium, rare earth metals, and solar, for example. Take a look at this 20-year chart of oil. During Peak Oil 1.0, we prepared our readers for the coming spike in oil and gas prices and the subsequent revolutions in shale, hydraulic fracking, and renewable energies. And as the markets entered into Peak Oil 2.0, our readers were well positioned, making a fortune, for instance, in the Bakken shale formation years before the mainstream investing public ever heard of it. Today, we are in Peak Oil 3.0. This period is witnessing a dramatic shift in the transportation industry. Think about this for a minute: Every single major automaker across the globe is converting its vehicle product line from the internal combustion engine to electric. We consider the electrification of the transportation industry one of those historic investment opportunities that come around once in a lifetime. The changes are as profound as they are profitable. And both are happening at breakneck speed. Did you know, for instance, that as you read this, China is building and selling its own version of the Tesla Model 3? And you can buy its stock for less than $10 a share! So join Energy and Capital and let our dream team of energy experts provide you with the most in-depth investment research in the market. Whether it’s revolutionary new battery technologies, energy storage, or a new energy discovery in Asia, you’ll be the first to know about it. You’ll receive webinars and feature videos from our team of editors, analysts, and guest commentators. You’ll have access to a full archive of our market reports on our website. Brian is a founding member and President of Angel Publishing and investment director for the income and dividend newsletter The Wealth Advisory. He writes about general investment strategies for Wealth Daily and Energy and Capital. 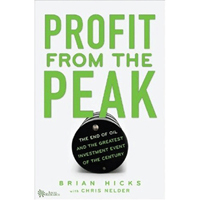 Known as the "original bull on America," Brian is also the author of Profit from the Peak: The End of Oil and the Greatest Investment Event of the Century, published in 2008. In addition to writing about the economy, investments and politics, Brian is also a frequent guest on CNBC, Bloomberg, Fox, and countless radio shows. For more on Brian, take a look at his editor's page.